Sabal Palm, Cabbage Palm. Highly versatile and will adapt to a variety of sun and soil conditions. 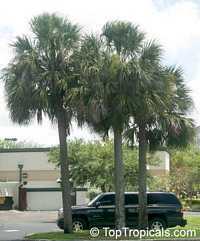 The cabbage palm is a medium sized spineless, evergreen palm with an unbranching trunk and very large, fan-shaped leaves that form a circular crown. Very cold hardy! 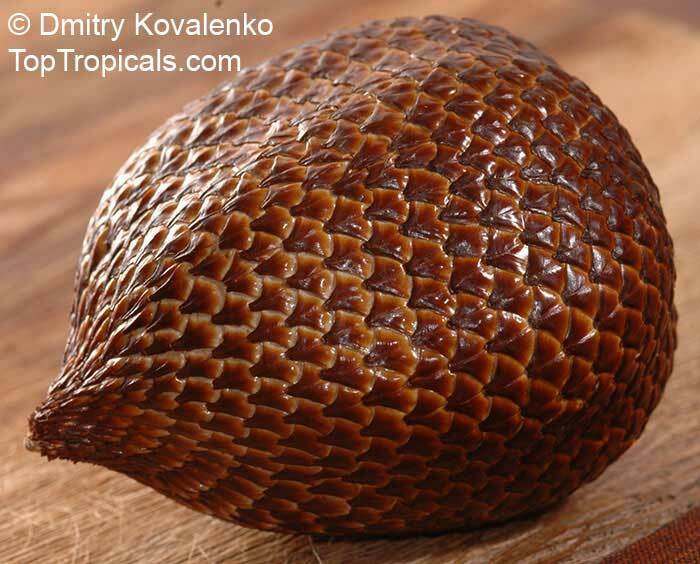 Salacca zalacca, Snake Fruit. An extremely impressive palm with fuzzy edible delicious fruit, very popular in Thailand. 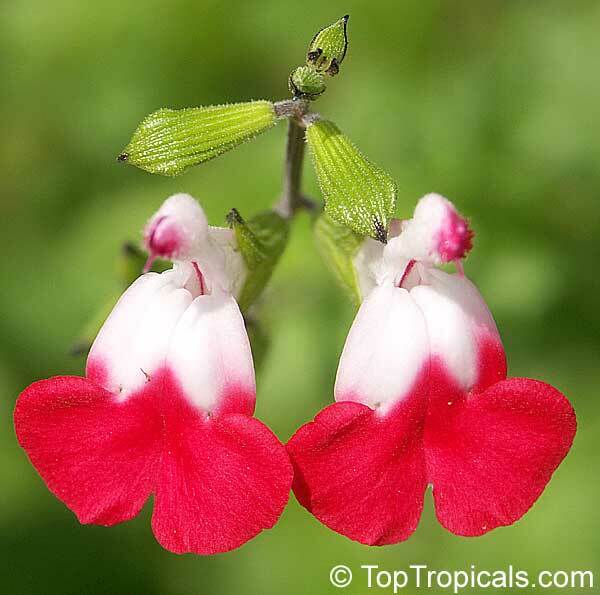 Very hard to find in plant collections. The palm has very long, undivided leaves (to 20 ft in native conditions). 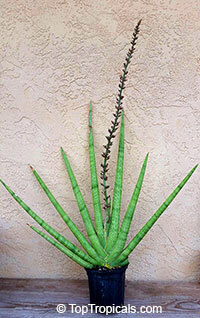 It is a clustering palm, which doesn't trunk, and very spiny. 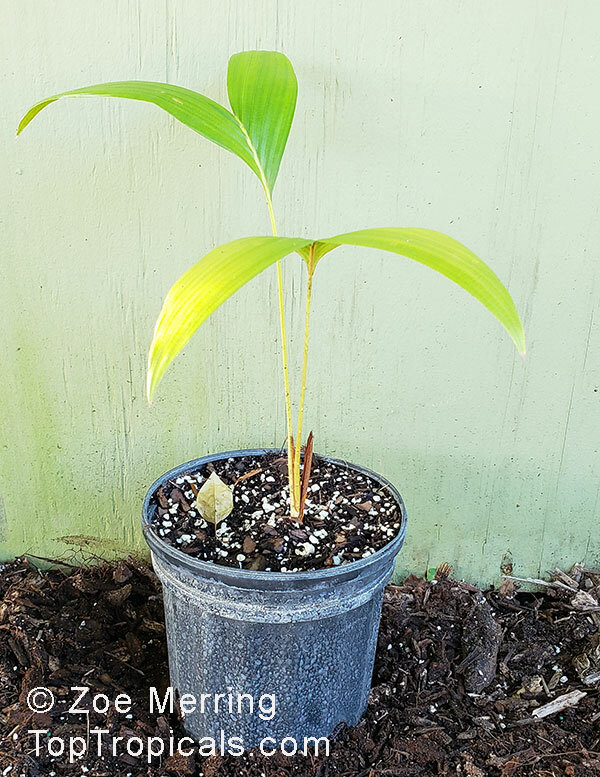 Palm prefers tropical climate, sheltered, lightly shaded, very moist position. Can be grown in a pot. Cold-sensitive and slow-growing. Salvia guaranitica (Anise-scented sage, Hummingbird sage) is native to South America. 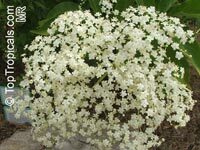 It is a perennial subshrub growing 4 ft tall, spreading into a large patch through its spreading roots. Flowers are uncommonly true blue. Var. 'Black and Blue' has very dark almost pure black calyxes calyx. Flowers are borne in showy 10 in spikes from early summer to late autumn. Needs moderate water. It might be possible to maintain blue anise sage in zone 7 if mulched heavily in winter. Blue anise sedge is a reliable bloomer throughout the whole summer. The deep blue-flowered cultivars are especially showy. Hummingbirds and butterflies love most of the sages and this one is no exception, so be sure to include it in your butterfly garden. Rain tree, Monkey pod. Synonym - Pithecellobium saman. 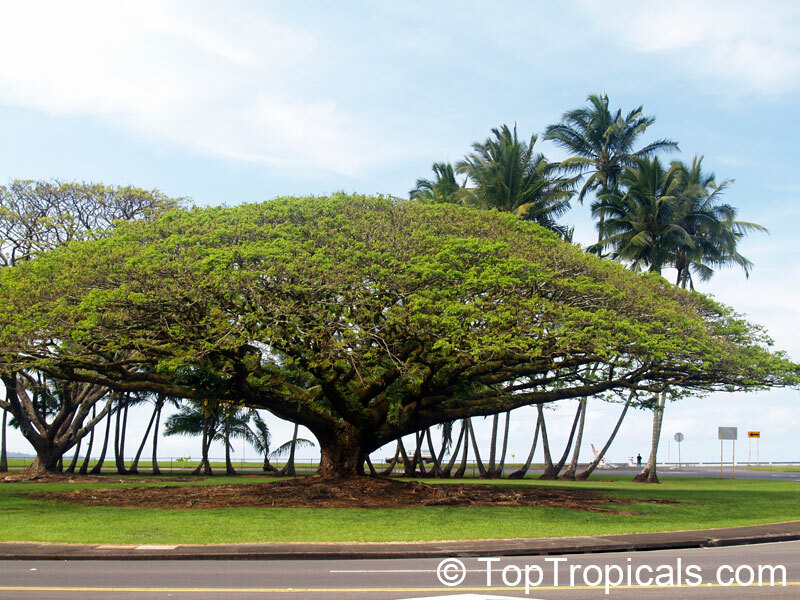 A large, vast growing, beautiful shade tree. Cover seeds with 3/4" well-drained soil mix, keep warm, damp and in bright light. Rain Tree, Monkeypod. 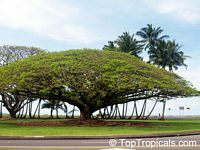 Stunning shade tree with large, dome-shaped canopy - symmetrical crown. Pink powderpuff flowers. The pods have a sweet, sticky brown pulp, and are fed to cattle in Central America. 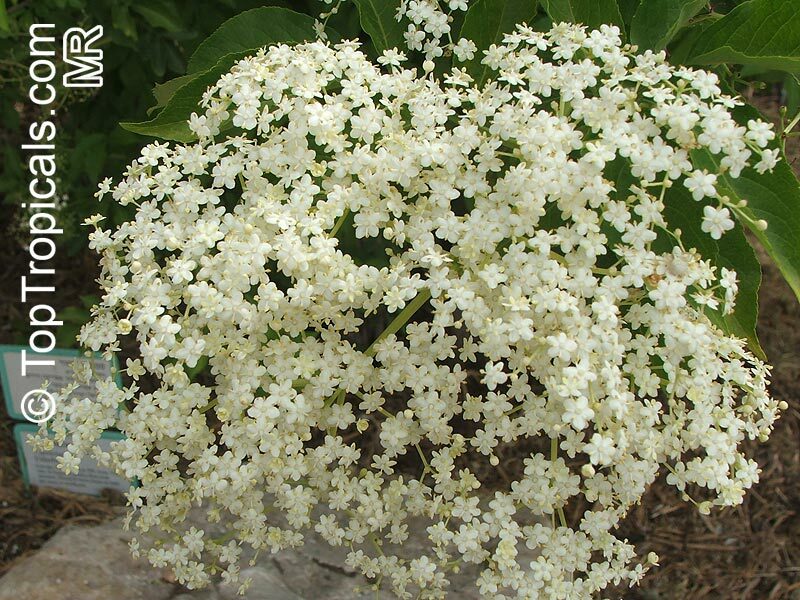 Plant with velvety leaves and beautiful clusters of white flowers. Rare variety with white flowers. Fire Fingers - Long spikes of large red bracts with orange flowers. Excellent color accent. 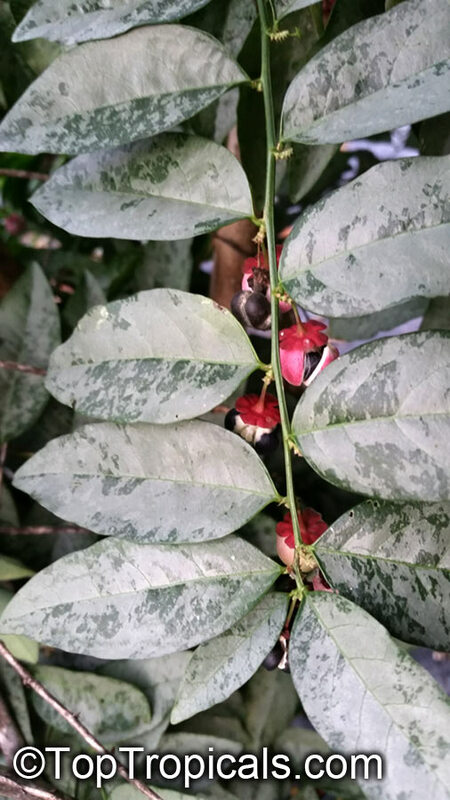 Leaves are light green with yellow-white veins, the plant is very ornamental even when not in bloom. Takes both sun or shade. 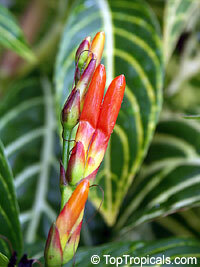 A showy tropical perennial, this plant is very rare in private collections. 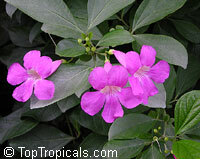 It grows in jungles of Peru and prefers humid environment with filtered light. 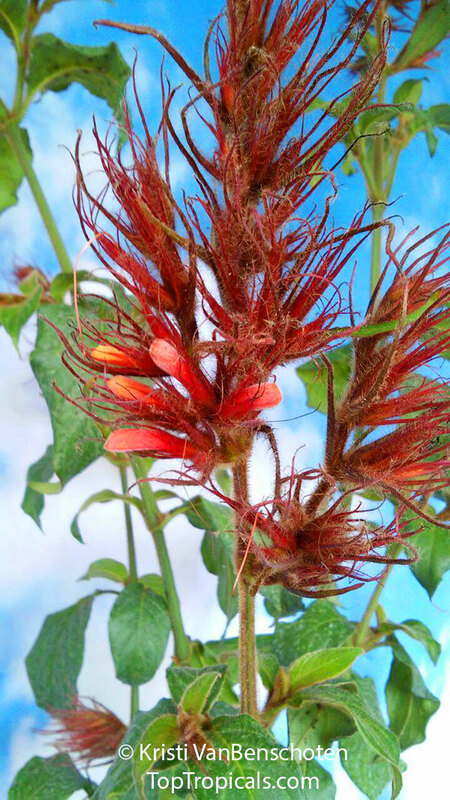 Flowers are blood red and resemble a feather. Attracts hummingbirds. 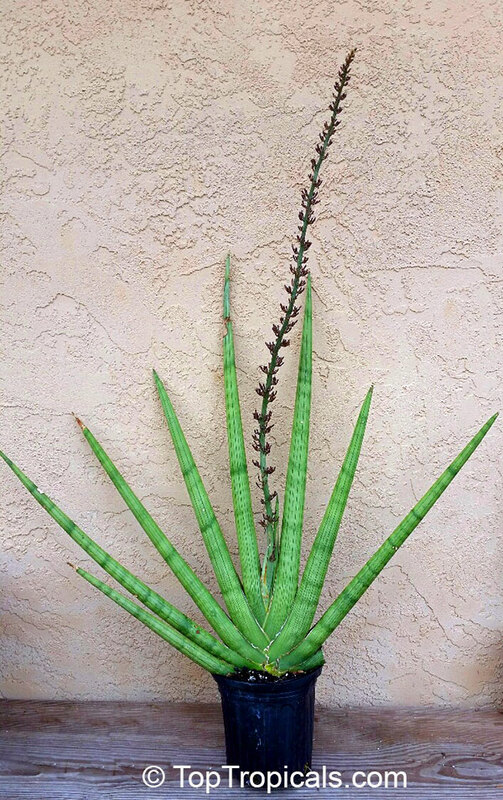 Snake Plant - Very showy and unusual variety of common "Mother-in-Law-tongue". 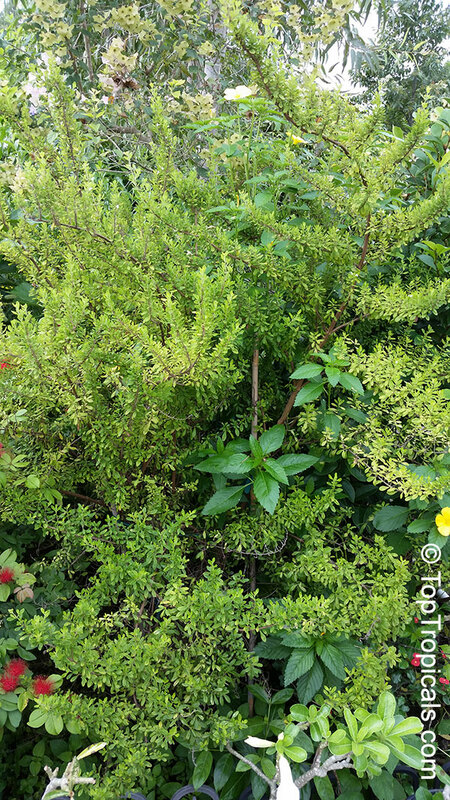 Leaves are tall rounded deep green spikes. 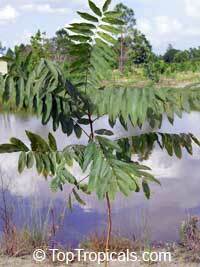 Ritha, Soap Nut Tree. Ritha is a beautiful, tropical, large-leaved deciduous tree of the Asian continent. 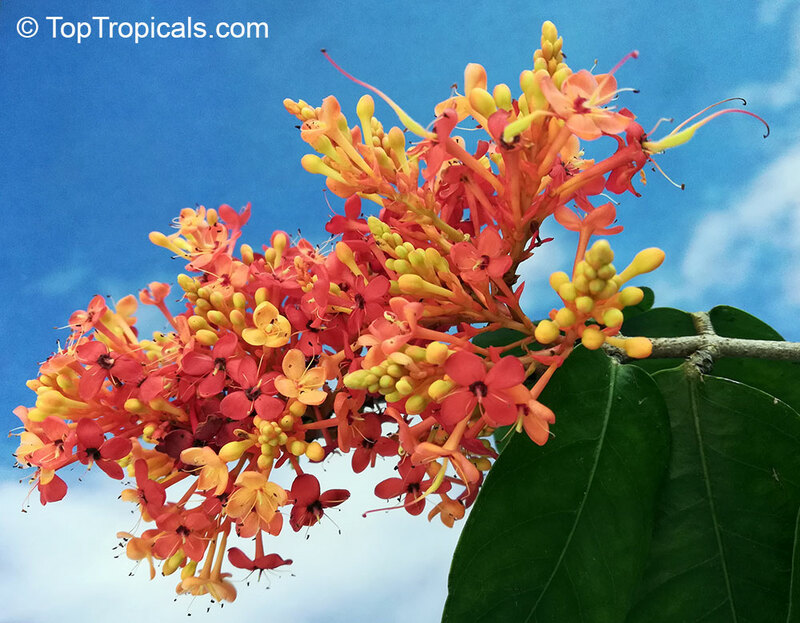 It can be grown in warm to tropical climates, small trees can be grown inside in large tubs. Better known as soap-nut tree in inter-continental trade, it is an important trees of tropical and sub-tropical regions of the Indian subcontinent. Ritha flowers during May - June. 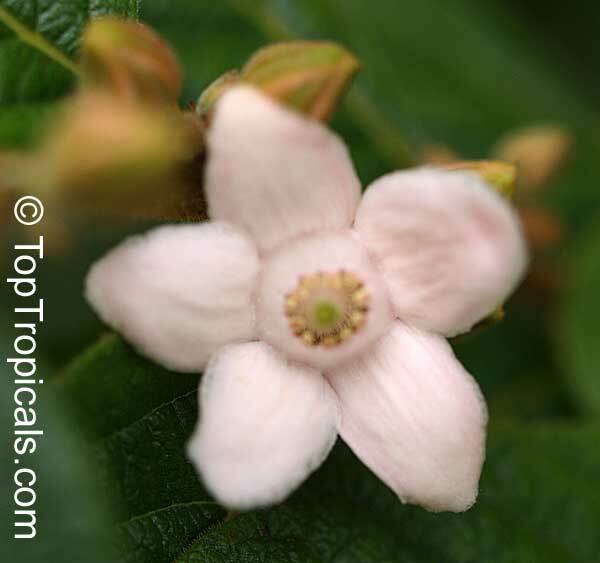 The flowers are small and greenish white. 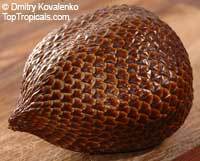 The dried ritha fruit is most valuable part of the plant. Its fleshy portion contains saponin, which is a good substitute for washing soap and is as such used in preparation of quality shampoos, detergents, etc. Ritha seed germinates easily. To ensure good germination, the seed is soaked in lukewarm water for 24 hours and then sown. 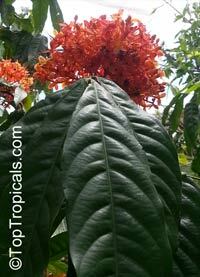 New variety from SE Asia with large, dark orange flowers. 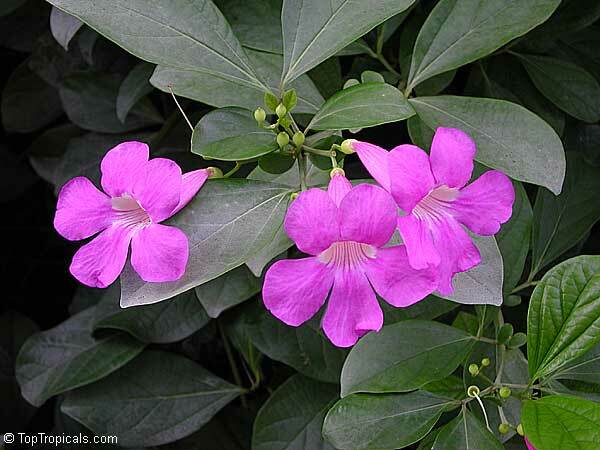 It is more fragrant than regular variety. 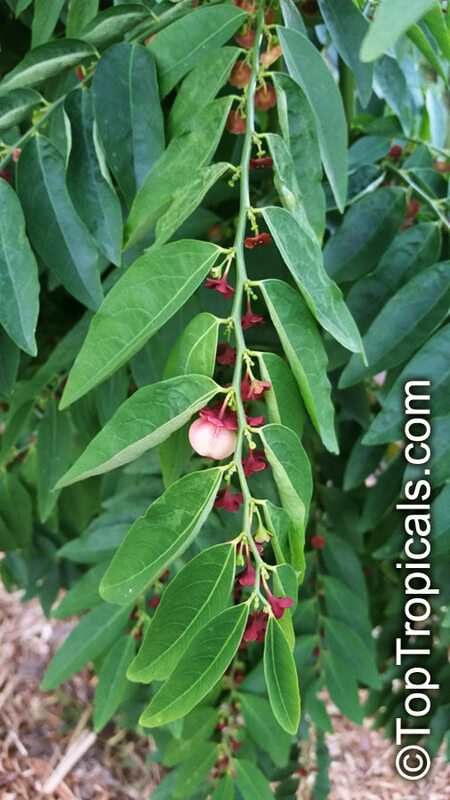 Sorrowless tree, Jonesia Ashoka Tree, Gandhapushpa - highly valued medicinal tree with fragrant bright flowers. Dwarf variety, good for potting culture. Red Saraca is the provincial tree of Yala province, Thailand. 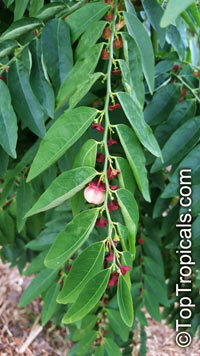 Young leaves are deep pink color and emerge at the end of the branches like hanging tassels. In some sources Saraca declinata is indicated as synonim of Saraca cauliflora. 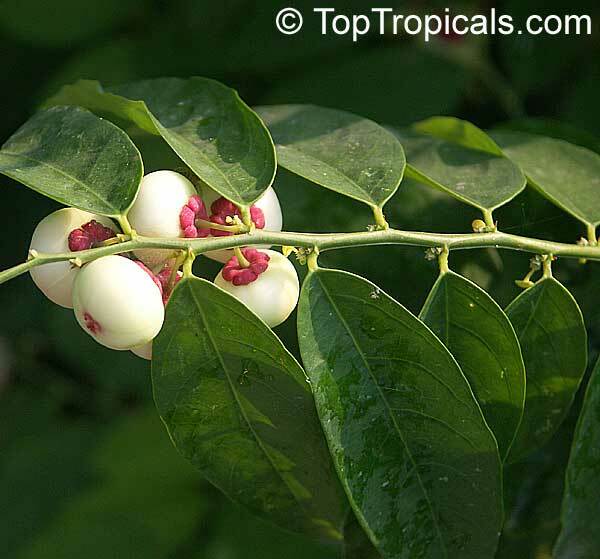 Sorrowless tree, Jonesia Ashoka Tree, Gandhapushpa - highly valued medicinal tree with fragrant bright flowers. Small tree, will grow 15-20 ft tall. Costa Rican or Jamacian Mint Tree - large shrub or small tree with pure peppermint scented leaves. 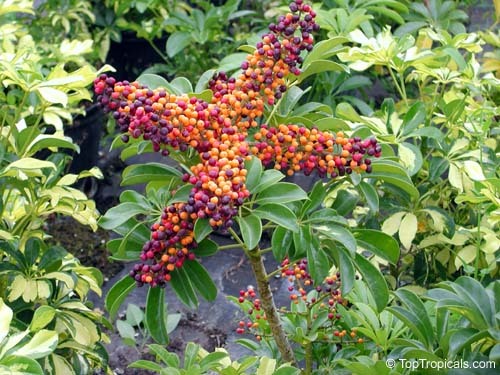 This is not an herb, but a rare tree! Make your own Kamasutra mint bathing gel! Rare variety of Amorphophallus ralative. Typhonium venosum, probably better known under its synonym Sauromatum venosum, is a common shade-loving house or garden plant from temperate and tropical Africa and Asia. Tuberous perennial with solitary, segmented round leaf and strange, arum-like flower. Collectable! It grows to around 20 inches tall from an underground corm. A large T. venosum corm can spawn multiple new corms. Inflorescences emerge before their leaves. 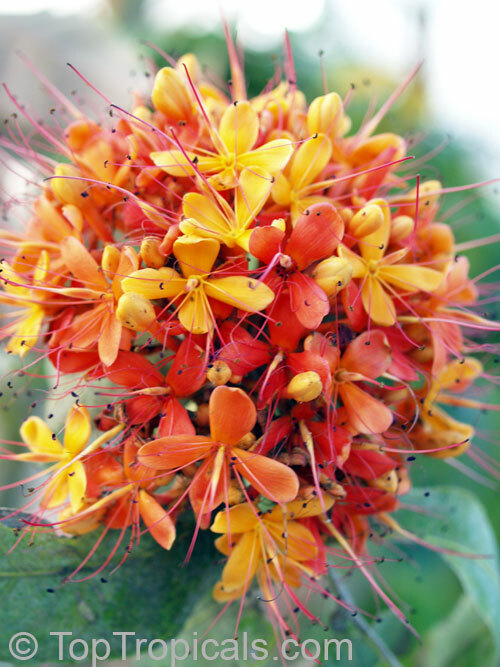 This plant is also known as the Voodoo Bulb because of its ability to flower from a corm without soil and water. 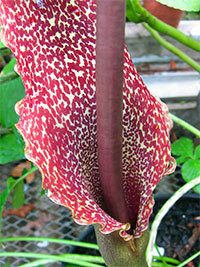 An inflorescence has a purplish-brown-spotted, yellowish spathe and a purplish-brown spadix which emit a strong odor perceived as similar to cow manure, rotting flesh, or a dirty wet dog, depending on who smells the inflorescence. The odor lasts about 2 days, and attracts carrion-feeding insects which can pollinate this plant. Katuk, Tropical Asparagus. Delicious young shoots! It is one of the most popular leaf vegetables in South Asia and Southeast Asia and is notable for high yields and palatability. The shoot tips have been sold as tropical asparagus. In Vietnam, people cook it with crab meat, minced pork or dried shrimp to make soup. In Malaysia, it is commonly stir-fried with egg and dried achovies. It is among only a few flora containing vitamin K.
Variegated Katuk. Seedlings come true to type. Variegated variety of Katuk, Tropical Asparagus. Delicious young shoots! It is one of the most popular leaf vegetables in South Asia and Southeast Asia and is notable for high yields and palatability. The shoot tips have been sold as tropical asparagus. In Vietnam, people cook it with crab meat, minced pork or dried shrimp to make soup. In Malaysia, it is commonly stir-fried with egg and dried achovies. 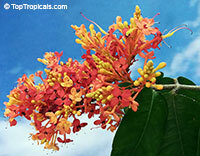 It is among only a few flora containing vitamin K.
Katuk, Tropical Asparagus. Delicious young shoots! Can be eaten raw or cooked. It is one of the most popular leaf vegetables in South Asia and Southeast Asia and is notable for high yields and palatability. The shoot tips have been sold as tropical asparagus. In Vietnam, people cook it with crab meat, minced pork or dried shrimp to make soup. In Malaysia, it is commonly stir-fried with egg and dried achovies. 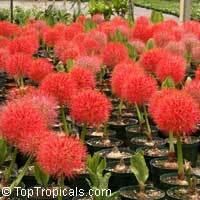 It is among only a few flora containing vitamin K.
Blood Lily - Quite superb bulbous plant with spectacular, dense, globular shaped heads, 10 ins. across, of scores of starry, scarlet flowers. 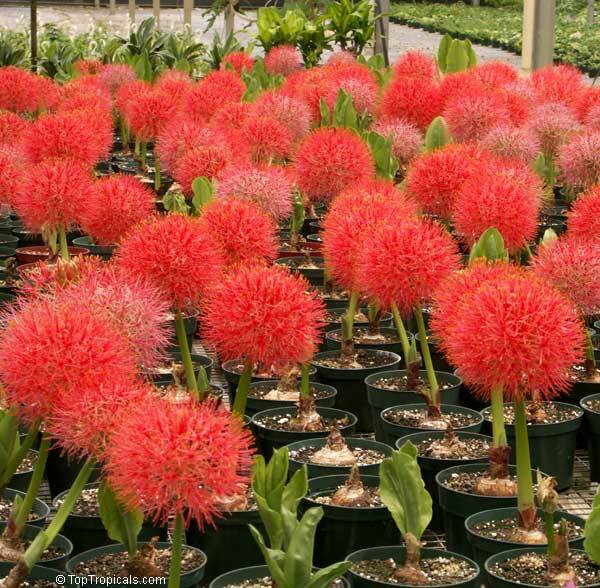 The blood lily rises from a flattened bulb about the size and shape of a hockey puck. Schefflera arboricola variegata. 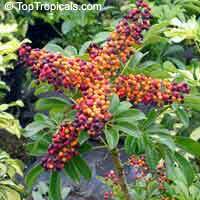 Arboricola, Trinette, Hawaiian Elf Schefflera. This is one of the easiest bonsai trees to care for and is a very beautiful "trouble-free" evergreen shrub that used widely as a low maintenance hedge. Very popular and easy indoor care. 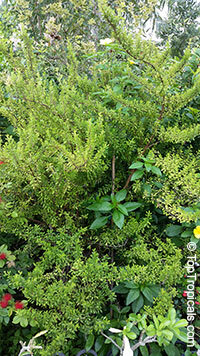 The tree is small in stature, evergreen, with rigid branches and has a gnarled trunk. 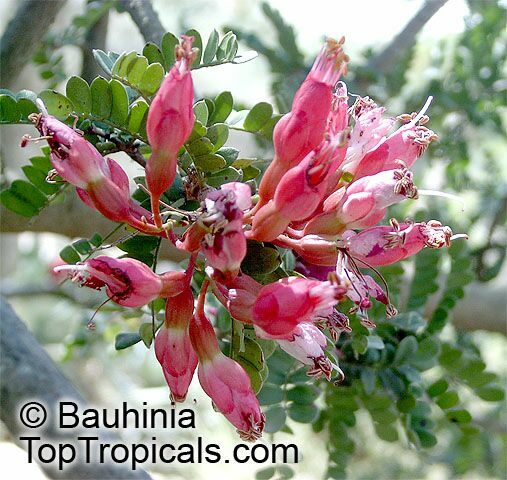 The flowers are numerous, bright red to pink in colour and are borne in small clusters. They are distributed throughout the tree. Great plant for bonsai.